What is Civic Service Design, anyway? Simply put, service design is the design of services. Civic service design is the design of public services. Service design is the process of taking a service and better tailoring it to the needs and wants of the end user, whether that’s a client, customer or in the case of civic service design, the citizen. It could be improving an existing service, or creating a new service totally from scratch. Now, more than ever, we have the opportunity to use design to improve people’s lives and impact organizations. For-profit organizations are continuously innovating and raising customer expectations. So too, must governments rise to challenge. Service design creates better citizen and staff experiences while at the same time reducing inefficiencies and increasing value to society. Think of all the time, money and mental energy saved by improving upon this process of procuring a passport. Services MUST be focused on the user and should be created with the user in mind at all times. For example, what steps does a citizen have to take when trying to apply for a passport? If they have to pick up forms from either immigration offices in large cities or download them online, what does this mean for Ugandans in far flung rural areas such as Moroto and Kaabong without internet access? Service design MUST be co-creative, taking into account the opinions of users of the service and all other stakeholders involved in the process. Services must be seen as a series of events that are linked to one another. For example, in the case of applying for a passport, first the applicant has to procure the forms, then get them endorsed by about 5 different local government representatives and then head over to URA revenue collection bank to make the payment. Each step must be done in a sequential order. Services must be viewed as an overall unified, well-oiled system rather than the individual components that make up the entire process to deliver the best possible outcome to the end user. The entire environment must be considered when designing the service. Are the security staff friendly to first-timers at the Immigration offices? Are applicants treated with respect and dignity when they request information? Intangible and immaterial services should be viewed as solid and concrete components in the service design chain. Once designed, services should be prototyped before launched for public consumption. This allows any quick iterations to be made until stakeholders are completely satisfied with the new, improved services. First, understand what the current process looks like from the point of view of the end user, or in this case, citizen. Take into account the environment, the context, challenges etc. Next, map out this process to better understand all the touch points between the citizen and government services. Figure out who all the stakeholders in the process are and what the exact problem statement is for the given situation. Bring all stakeholders together to brainstorm and ideate how this process could be improved for both citizens and staff. Come up with possible solutions to the problem statement. Lastly, test the process out with your end users and get their opinions on the new changes. Are they satisfied? Dissatisfied? Didn’t notice a difference? Process your feedback, make iterations and continuously improve your services! Bad service design affects everyone negatively, in terms of time lost, money wasted, negative perceptions towards government staff, stress, depression and so on. All in all, this in turn affects the productivity of the entire economy. Technology has been pivotal in improving and easing services across Uganda. Recently, the Ministry of Internal Affairs launched the e-visa services, simplifying the process for foreigns to procure tourist visas, special passes and work permits. With all the information and processes now available online at https://visas.immigration.go.ug, foreigners can simply upload their documents and get a quick response, effectively cutting out dubious middlemen! This is a great example of how technology enables a service rather than drives the service. Technology should be developed as flexible and agile in the face of changing citizen’s needs. It should be a part of the process rather than THE process itself. Furthermore, when designing digital civic services, we need to create solutions that are truly inclusive. Digital inclusion is necessary to make sure that everyone, regardless of gender, income, background etc. can benefit from the services equally. This could be building light-weight platforms that can be accessed on slow internet connections or creating platforms in local languages. Interested in learning service design through a hands-on workshop? 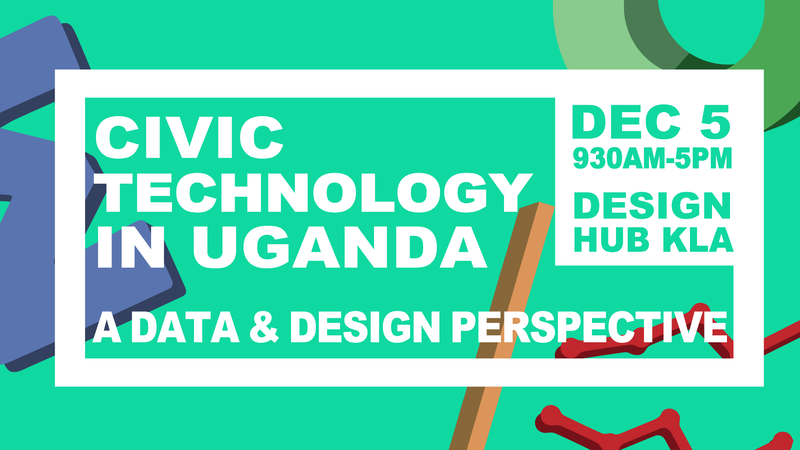 Sign up for our session, co-hosted by CIPESA, at the Design Hub Kampala on December 5th 2017.